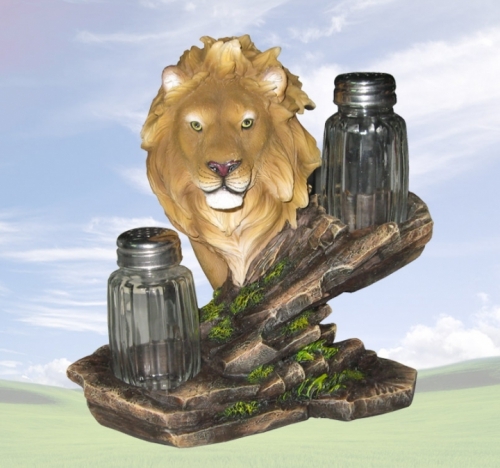 This "Rex" Lion Salt & Pepper Holder is a great way to add a touch of wildlife to your kitchen and dining decor. Resting in a tree trunk, with natural colors of the forest and wildlife accents, this functional piece of artwork will truly be admired by all. A unique and decorative way to bring the love of wildlife creatures into your home.